Slekta klapperslanger hører til i underfamilien , Crotalinae. Cymothoa exigua via Wikicommons, Creative Commons Attribution. 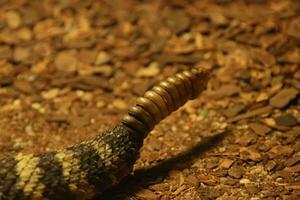 "Timber rattlesnake at den site Crotalus horridus" by Brian.gratwicke via Flickr, Creative Commons Attribution. 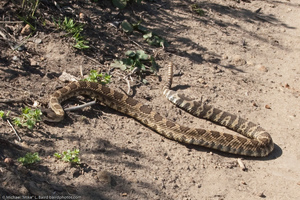 "Southern Pacific Rattlesnake (Crotalus viridis helleri) Rattlesnake - Scenes from a docent-led walk," by Mikebaird via Flickr, Creative Commons Attribution.